In this tutorial we will learn how to create covariance matrix in Excel or covariance table in Excel. Covariance is a measure of how much two random variables vary together. It’s similar to variance, but where variance tells you how a single variable varies, co variance tells you how two variables vary together. 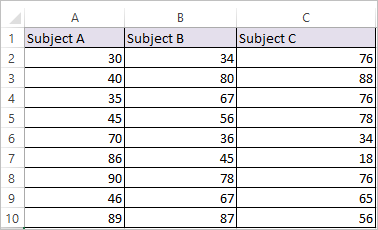 Let’s use the marks of three subjects (which is shown below) to compute Covariance matrix in excel. 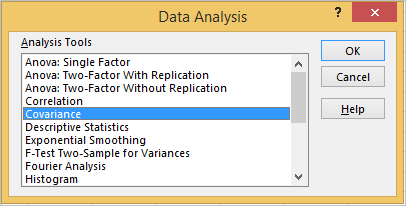 Step 2: Select Covariance and click ok.